February hasn’t been a great month to be honest. 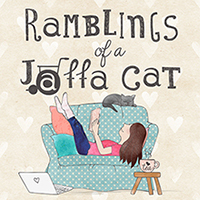 I’ve lost count of how many nights I’ve spent in hospital, and although I have a diagnosis that explains some of my symptoms, there are still some other symptoms, which remain a mystery. However, February has also been a really positive month – despite not feeling well I have done all that I can to raise awareness of eating disorders, as Eating Disorder Awareness Week fell at the end of this month. 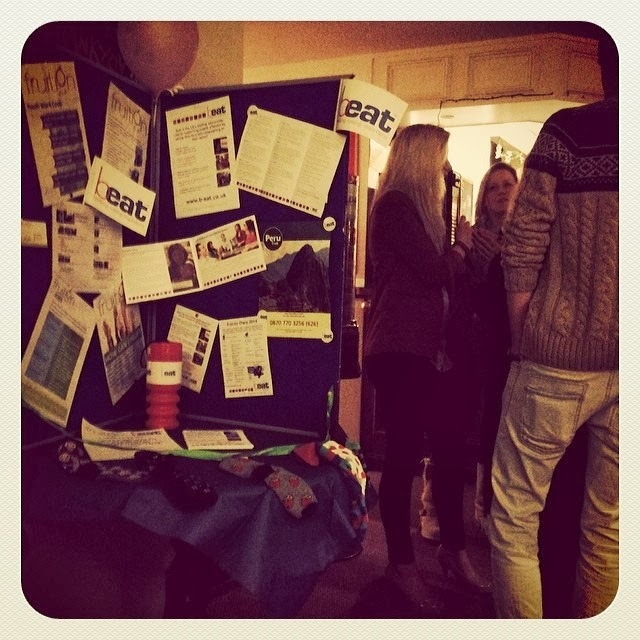 I’ve posted a lot of things on Facebook, Instagram and Twitter, and last Saturday was the charity evening I’ve spent the last few months planning. Unfortunately I wasn’t able to stay for it, but I was told it was a fantastic night, raising an amazing £1200, to be split between Beat and Fruition Youth, Yateley. I’ve now got the fundraising bug and am already thinking of different ways to raise money and promote awareness! This month I’ve been rather guilty of using retail therapy to cheer myself up. 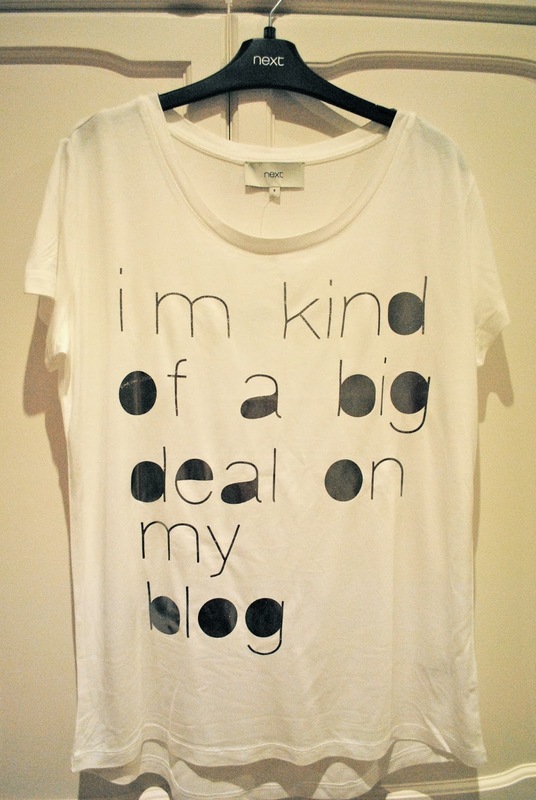 What did we do before internet shopping came about?! I do love the feeling of purchasing something online and then waiting for the postman to bring it. It’s always nice to get parcels in the post, even if you do know what’s in them! I’d seen this t-shirt in a magazine that Next sent out in the post, and knew instantly that I had to have it! It’s available in either white or navy – I decided to go for the white one and am happy with my choice! Being ill for quite a while has made me really appreciate comfy clothes – pyjamas, trackie bottoms, hoodies and slippers. I already have a couple of pairs of slippers (Bedroom boots and backless slippers) but when I saw these novelty animal slippers I just couldn’t resist! At least now I can wear different slippers each day – you’ve got to find ways to brighten your day when you’re not feeling good, right?! Last but not least, I was lucky enough to win a couple of prizes in the raffle at our charity event last Saturday. Thankfully my Mum knows me well and picked me some great prizes. I got a gift voucher for a beauty treatment with a friend of mine, so I’m looking forward to putting that to good use when I’m feeling better. I’m thinking the full works – manicure, eyebrow shape and a massage. The other prize my Mum picked out for me was a set of nail varnishes from Ciate, which I can’t wait to use. I’m particularly excited about the gold sparkly one – I’m a sucker for anything sparkly! + I’m not good at resting! + Being ill isn’t good for my bank balance – I keep buying things to cheer myself up! TV seems to have become a rather large part of my life at the moment. I’m not generally someone who can just sit in front of the box and watch it – usually it’s something I have on in the background while I’m doing other things. But with feeling so exhausted recently, I’ve had the TV on quite a bit while I’ve been trying to rest, just to give me something to occupy my mind. Although this is technically February, I’m really excited for the new series of Jonathan Creek, which airs on Friday 28th February. I used to love watching the old episodes with my parents, so I’m hoping it will be just as good! Another programme that started this week on BBC3 is Junior Paramedics, which I’m already hooked in to! My brother has just qualified as an ECA (Emergency Care Assistant), so will be working alongside paramedics and driving the ambulance, so it’s really good to be able to get some idea of what he’ll be doing! Something I’m really excited for in March is the release of a new Marc Jacobs fragrance! Ever since I was in Harvey Nicholls in Manchester, a fair few years ago, and sprayed a tester of Daisy, I’ve been obsessed with Marc Jacobs perfumes. I can’t think of one of their perfumes that I don’t like – I’ve tried Daisy, Lola, Oh Lola, Dot and Honey – I always have at least one of them in my bathroom cabinet as my go-to perfume for wearing every day. 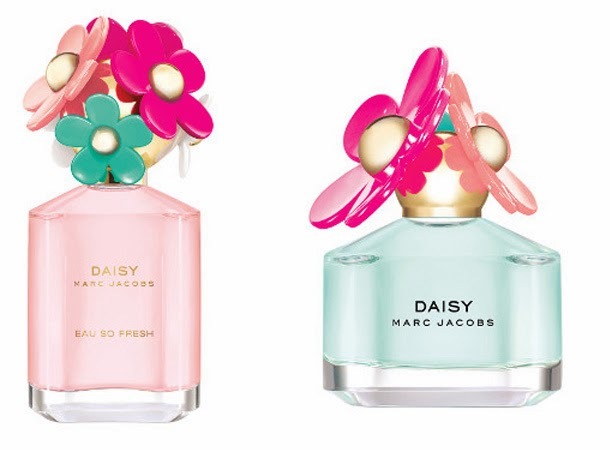 The newest addition to the fragrance collection is Marc Jacobs Daisy Delight, which retails at £52 for 75ml and will be available from 5th March. It will definitely be going straight on my wish list! If you’re a fan of the Muppets (who isn’t?!) then keep your eyes peeled this month, as they have a brand new film coming out in cinemas on the 21st March. Muppets Most Wanted is a tale of crime and adventure, as Kermit is framed for a crime he did not commit. Along come his Muppet friends to save the day in a battle against the evil Kermit and a character played by Ricky Gervais. I can’t wait to get down to my local cinema to see this! March also brings with it the release of some pretty awesome DVD’s, including The Hunger Games: Catching Fire (17th March), Frozen (31st March), Philomena (24th March) and Saving Mr Banks (24th March). Lastly, we can’t forget Mother’s Day on 30th March! Although I think it’s important to spoil your Mum/Gran/Auntie all year round, it is nice to have a special day that is just about them. I’ve started looking around for ideas on how I can spoil my Mum. I expect I’ll order her some flowers, as I know how much she loves having fresh flowers in the house. I tend to go to my local florist if I can, as you get a lot more say on exactly what you are looking for and what your price range is. Plus it’s always nice to support local businesses and the arrangement can be delivered on a day of your choosing, with the flowers probably a lot fresher than if they were sent in a box. I’ll also be going to my failsafe shop for pampering gifts, Lush. They’ve brought out a range of products especially for Mother’s Day and at the moment I’m struggling to make a decision about which products I want to buy, as they all look so good! 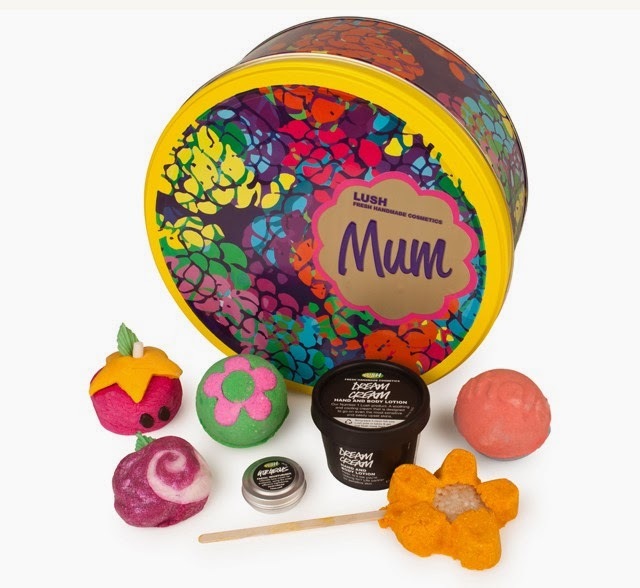 I quite like the idea of the Mum Gift Box, which is filled with a selection of Mother’s Day products, including Mumkin, which is said to smell like a punnet of fresh raspberries. That’s definitely given me some food for thought on how I can spoil my Mum at the end of this month! Do you have any favourites or things you’ve learnt in February? What are you looking forward to in March?